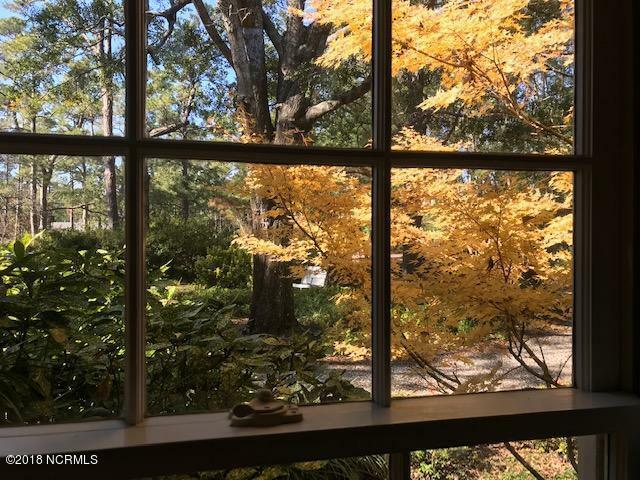 SOUTHERN LIVING AT ITS FINEST! 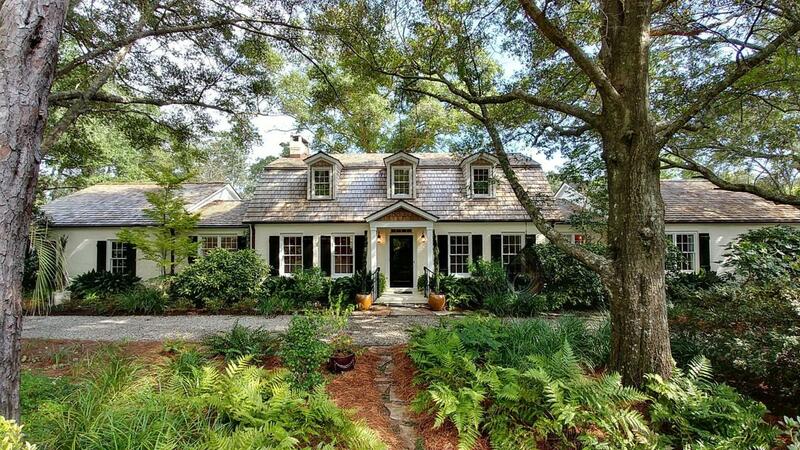 Over 4000 square feet of casual elegance nestled among majestic ancient oaks. 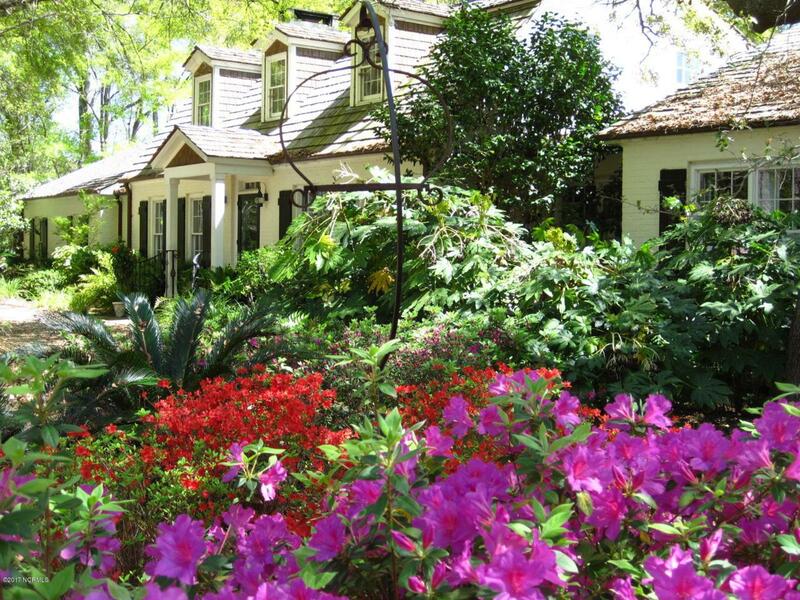 Private estate of more than 3 acres featuring gorgeous natural landscaping and a ''Garden of Eden'' pool, featured on the 2014 Azalea Garden Tour. 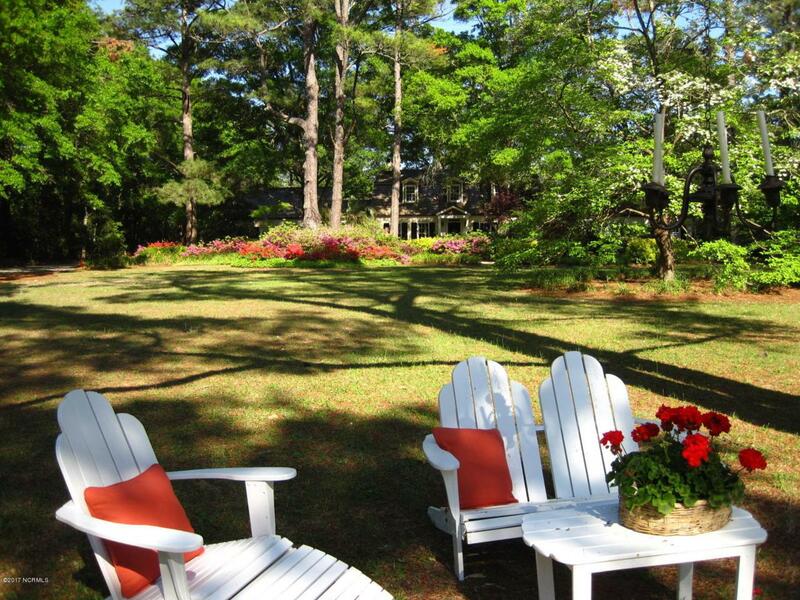 Unparalleled privacy yet within city limits, conveniently located halfway between Wrightsville Beach and Downtown. Deep Water Access at Quail Woods Boating. Total renovation in 2007 including addition of over 1200SF. Spectacular master suite includes two huge walk-in closets, spa shower, double sided fireplace and Jacuzzi. Hardwood floors and skylights throughout. Commercial Generator with an automatic 3-second transfer provides uninterrupted power for the entire house. Greenhouse and art studio over 3 car garage not counted in total SF.Three car garage with working artist studio above. Commercial whole-house generator, three HVAC systems, Detached 300sf greenhouse with plumbing and electricity. NOT in flood zone. ONE-OF-A-KIND!!!!!! Deep water access! Member of Quail Woods Boating Facility. Traditional "Low Country" floorplan, updated for today's lifestyle ... great for entertaining, featuring both formal and informal areas that flow together. Listing provided courtesy of Rhonda Schoolfield of Representing Buyers Only Inc Dba The Coastal Carolina Collection.